It’s truly the end of an era. Yahoo Messenger, the ubiquitous chat-based platform that probably launched what was the first semblance of social media back in the late 90’s is sunsetting into oblivion. The images below that were a permanent fixture on almost every desktop back in the day are about to become nostalgia-inducing internet fossils. Yahoo has announced that it would be phasing out the Messenger on August 5th, in favour of a newly designed chat-app which would pretty much do what Yahoo messenger did, and more. It would allow users to chat, exchange photos, GIFs, “like” things, and make groups – features that Facebook and Whatsapp currently provide. However, the new Yahoo app would also come with an “Unsend” option for those hurriedly sent angry texts or autocorrect disasters. In a way, Yahoo messenger’s inevitable demise itself is a symbolic telling of the internet giant Yahoo’s fate. Crumbling under diminishing profits, stemming from a confused state about its entity and role in Web 2.0, Yahoo’s trying a few things in a bid to make a comeback as it were. The acquisition of photo storage platform Flickr and blogging platform Tumblr have done little to buoy its place back in the sun. Yahoo CEO Marissa Mayer has been publicly blamed for being unable to restore Yahoo to a meaningful position on the internet. With Facebook and Whatsapp together owning most of the communication on the internet, Yahoo seems to be trying one last shot at remaining relevant again. 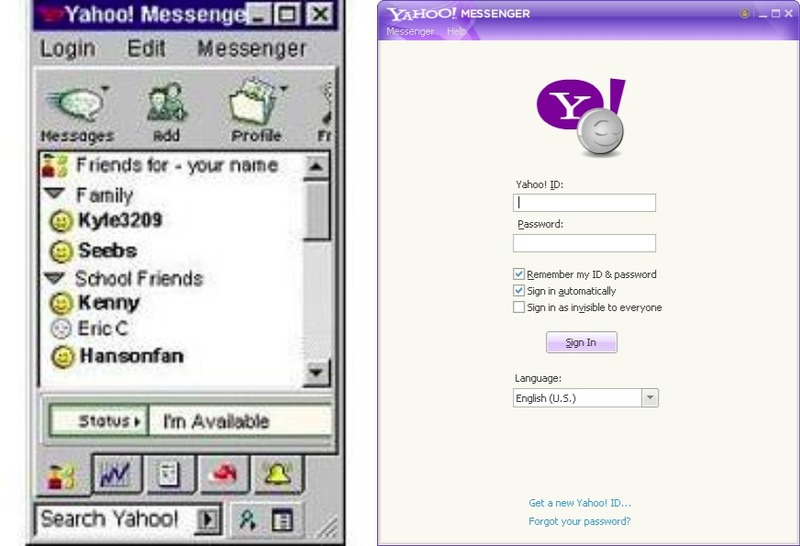 Back in 1998 and onwards, Yahoo messenger won hearts with its easy interface, ability for the users to choose a user ID (even if it was cool4uRahul) and a myriad emojis ( called emoticons in Yahoo’s parlance). As Yahoo messenger continued to grow, it bundled on features like Avatars (Your internet alter ego) and interactive games like doodles which allowed users to play simultaneously as chatting. It invented what it cleverly called “IMvironments” where amongst others, there was one where lovers could enjoy a virtual tete a tete over the sound of slurpy kisses in the background. While all that may now be a thing of the past, Yahoo messenger’s end proves the inherent nature of the internet. Innovate or perish.